On November 24, 2017, the Department of Labor (DOL) delayed the applicability of the final rule which revises the regulations governing disability benefit claims (the “Final Rule”) to April 1, 2018, from the original January 1, 2018, effective date. Published in the Federal Register on December 19, 2016, the Final Rule added to and revised the disability benefit plan claims regulations to include many of the procedural protections afforded to health plan claims under the Affordable Care Act. The DOL delayed the Final Rule to give affected service providers additional time to make necessary adjustments and to give consumers time to understand the changes. Independence and Impartiality. Plans must ensure that the disability claims and appeals process is designed to be independent and impartial. Disclosure Regarding Denial Details. Benefit denial notices must contain a more complete discussion of why the plan denied a claim and must articulate the standards used in making the decisions (including the reasons for disagreeing with disability benefit determinations by the Social Security Administration). Notice of Right to Access Information. Claimants must be given timely notice of their rights to receive upon request the entire claim file and other relevant information. Opportunity to Review and Respond to New Information. Claimants must be given notice and a fair opportunity to review and respond to new or additional evidence or rationales before denials at the appeals stage can be based on such new information. Disclosure of Any Contractual Limitations Period. Denial notices must include a description of any applicable contractual limitations period and the date on which such period expires. Deemed Exhaustion of Claims and Appeals Processes. 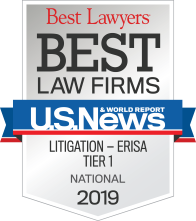 Unless it is a minor error, when a plan does not adhere to its claims processing rules, the claimant is deemed to have exhausted the administrative remedies and is therefore permitted to file a lawsuit under Section 502(a) of the Employee Retiree Income Security Act (ERISA). Retroactive Rescissions of Coverage Are Appealable. Certain rescissions of coverage are to be treated as adverse benefit determinations triggering the plan’s appeals procedures. Communications Requirements in Non-English Language. In certain situations benefit denial notices must be provided in a non-English language, using essentially the same standards applicable to group health benefit notices under the Affordable Care Act. 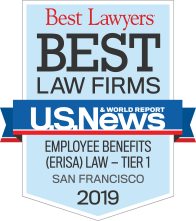 For a comprehensive discussion on the provisions of the Final Rule amending disability claims procedures, see the article by Tiffany Santos, and for the Final Rule’s applicability to nonqualified deferred compensation plans, see the article by J. Marc Fosse. After the Final Rule’s publication in 2016, the DOL heard from various stakeholders and certain members of Congress who asserted that the Final Rule would drive up the cost of administering disability benefit plans, cause an increase in litigation and consequently limit workers’ access to disability insurance. In light of those concerns, and in line with Executive Order 13777 (which seeks to reduce the regulatory burden on the American people), the DOL said that it decided to delay the Final Rule, in order to allow it to carefully consider more comments and data, as part of its effort to examine various methods to ensure the full and fair review of disability benefit claims without the imposition of any unnecessary cost or adverse consequence. Opportunity to Review and Respond to New Information: This provision “complicates the processing of disability benefits by imposing new steps and evidentiary burdens” on the plan in making its decisions regarding claims. In addition to the above concerns, the DOL stated that although it requested data when it first proposed revising the procedures in April 2015, the comment letters received generally did not contain the data needed to adequately estimate the overall costs and benefits of the Final Rule. Furthermore, the DOL pointed out that Executive Order 13777 (introduced after the publication of the Final Rule) directs federal agencies to engage in specific activities to accomplish the goal of reducing the regulatory burden placed on the American people.2 These activities include evaluating existing regulations for repeal or modification to make them less burdensome and seeking input from entities significantly affected by regulations. Accordingly, in the November 24, 2017, announcement, the DOL concluded that it was appropriate to seek additional public input regarding the Final Rule, with the comment period ending on December 11, 2017. In the proposal regarding the delay, the DOL identified very specifically the type of data it is seeking to determine whether the benefits of the Final Rule outweigh the costs. In its November 24, 2017, announcement, the DOL stated that it received approximately 110 comment letters. On the one hand, opponents of the delay (including those representing disability benefit plan claimants) argue that disability benefit plan claimants are in greater need of procedural protections under ERISA. They also generally discount the usefulness of the 90-day delay, arguing that if the sought-after data existed, the industry stakeholders would have produced it much earlier in the multiyear rule-making process that ended in 2016. On the other hand, many commenters (primarily those representing employers, plans, insurers and service providers) asked for more time (from 6 months to a year) before the Final Rule becomes applicable. These commenters reiterated much of what had been said before the proposal for delay, i.e., that the Final Rule will result in increased cost and litigation, and that more data needs to be analyzed. The DOL noted that it does not expect to take any further regulatory action without first affording the public the opportunity to review and comment on the data and information received under the 60-day comment period which ended on December 11, 2017. While it is possible that the Final Rule may be changed or further delayed, the DOL stated that, given what is in the public record to date, delaying the applicability date beyond April 1, 2018, probably would be unwarranted. Noting that several provisions in the Final Rule essentially reflect federal court decisions interpreting the full and fair review requirements of the regulations currently in effect (i.e., from 2000), the DOL stated that the delay in the applicability of the Final Rule would not modify or otherwise delay the application of any such controlling judicial precedents. 1 The comment period for the proposed delay ended on October 27, 2017. 2 Executive Order 13777 closely followed Executive Order 13771, which directs federal agencies to identify two existing regulations for repeal for every new regulation issued and to manage expenditures so that the total incremental cost of all new regulations is no greater than zero.